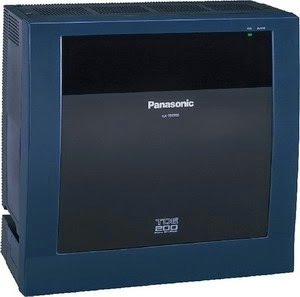 Panasonic KX-TDE200 IP VoIP Kap max: 32 PTT / 120 Extension. Panasonic IP PABX KX-TDE200 can support up to 256 SIP telephone as extensions. Companies can now use standard available SIP phones and connect them to the Panasonic IP PABX KX-TDE100 as IP extensions to support in- house office users, Remote workers and even road warriors connecting back to the office over high-speed broadband IP network from virtually anywhere.